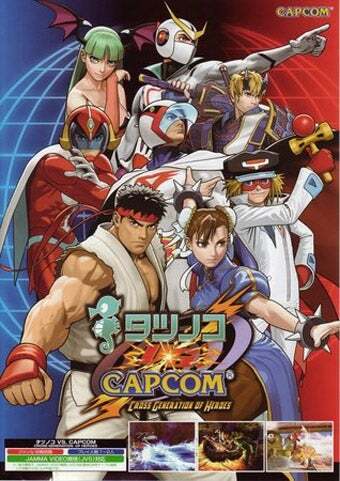 Capcom has confirmed that a North American version of Tatsunoko vs. Capcom for the Nintendo Wii is indeed one of their two secret games for E3 2009, debuting in playable form at the Capcom booth. The magazine scan we posted Saturday is from the new issue of Nintendo Power, which features the exclusive reveal of the 2D fighter that we were relatively sure would never make it out of Japan. North American players will be able to pit Capcom characters like Ryu and Roll against Tatsunoko animation studio icons such as Tekkaman and Ken the Eagle, some sooner than others. The game that many thought would never make it to North America is actually in the works and will be at E3 for all of you lucky Unity members to get your hands on. Yes, it'll be there, and it'll be playable. Look for more details out of Capcom within the next two weeks leading up to the big show.